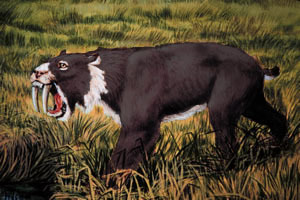 What do we know about the saber-toothed cat? Not very much! We don't know what color they were (I think they were orange). We don't know if they used their formidable fangs to slit throats or open bellies. We aren't even sure if they were primarily hunters, or if they scavenged. They're thought to be social, but again, no one can be sure. And I can imagine that they were probably cute, although there are some models that are really not very cute at all. Living so near the La Brea Tar Pits, I check regularly to see if anyone has found so much as a tuft of preserved fur, or even better, some recoverable DNA. 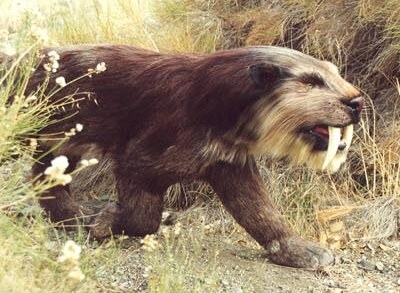 Someday, someday probably soon, someone will clone a Smilodon. 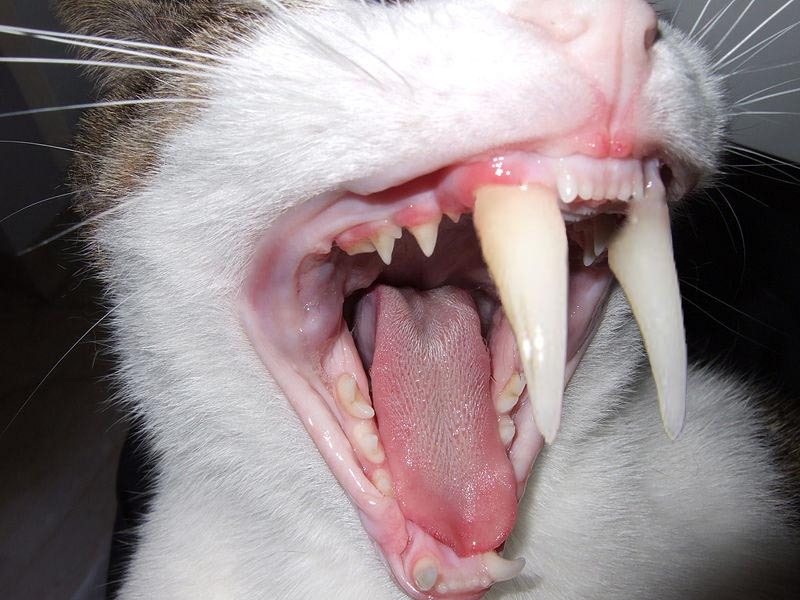 Or if not, we can at least knock in a "big tooth" gene into a housecat. Kitten-sized smilodons, anyone? 2016 update: a fossilized pawprint of Smilodon populator was found. Still no DNA, though.